6. Why do you feel the Army of Light is a good fit for you? *Because Im pretty much In love with Guilds that are big enough to start Many friendships. I have been in may communities of TOR guilds and This one is by far the Friendliest and the most Professional to be honest. 7. What do you expect of the guild? Please be specific. *Long term friendships, people to quest with and when I log in I know Who to expect to see everyday. 10.Role-Play experience/expectations. Can you give us some examples of Role-Playing you have participated in before. When it comes to expectations, give us an example of what would be fun to participate in, what you are looking for, etc. 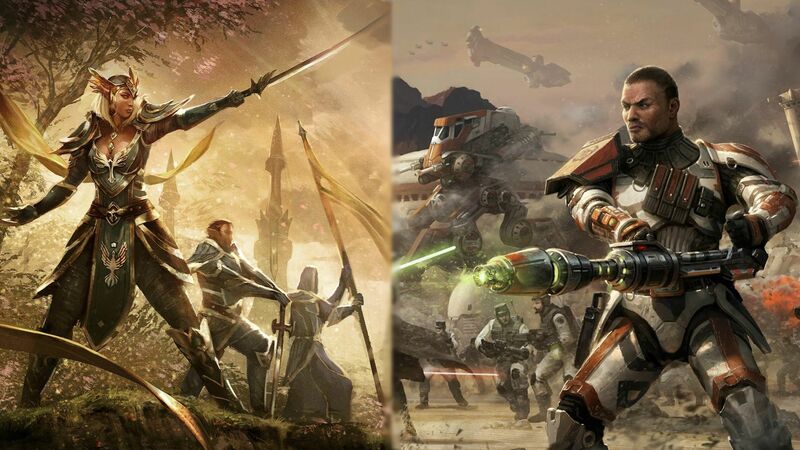 *Both in star wars galaxies and Everquest 2 I have been apart of HUGE rp style Guilds that pretty much everyday we end up Role playing anything we feel like and it get Intense and very Fun after a while. enjoy doing within the guild. How have you helped your previous guild(s), if you have previous experience? *Well I love to help fellow members of the guild, as much as possible. 12. How do you define a quality member? *Active,Helpful,and Respectful. 14c. 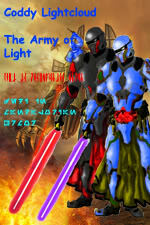 The Army of Light wishes to have members who take the concept of Commitment and Loyalty very seriously. By applying and if accepted, you are taking an Oath to both the guild and your guild-mates here. Is this something to which you can commit?Yes and I will prove my loyalty as much as possible if accepted. 15. Would you say that you embody the qualities of Respect, Honor, Loyalty, and Maturity? What are your definitions of these four words? Please don’t just answer yes or no, let us know why you think you possess these qualities. *Respect- Someone who is Loyal to there self and those around you,no matter what your rank is, always have "respect" for those above you and below you.Honor-You Hear the saying "honor thy mother and thy father", Same goes to everyone around you, Show respect, and respectful no mater how they treat you or how wrong you think they are. Loyalty-Going into a situation were you think your not going to make it out of, but you stick with it no matter what the cause.Maturity-Knowing when to think before acting, Knowing when your emotions have gotten in the way of your judgment, and simply recognize when your wrong, and admitting to it. I understand the traits, I would like to say that I have mastered every single one of them, But Honestly no one has. There comes a point were you have to Prove your Loyalty, Show respect, Give honor, and be mature in situations. I will do my best to Prove it to everyone here at The Army Of Light. 16. Tell us about a time you offered assistance to someone who did not ask for it but clearly needed it. If you have never had this experience, tell us what you would do if faced with that situation?Well If I happen to see a fellow guild mate in trouble, i'll of course offer my assistance and see what I can do for there situation. The last time I helped someone that didn't ask for my help it was when They needed help with a Mob that they couldn't defeat because they were to low level at the time to Demolish "it". 17. Role-play Scenario (please tell us how you would handle the situation): You are leading a group of 3 others through a forest on a remote moon to destroy an enemy communications relay. Up ahead in a clearing, you happen to spot a small Sith camp. Your group has not yet been spotted by the enemy. You are reasonably well supplied for your mission, including armaments. The clearing containing the Sith camp is not necessarily in your direct path to reach your original mission objective. Attacking the camp could alert the guards at the relay. However, attacking the relay without first dealing with the camp could mean enemy reinforcements from the camp. What do you do?I'll take my chances with the camp, Because if they "could" alert the guards at the Relay, Thats better than attacking the Relay and for sure get Reinforcements from the Camp. of our guild family - a very important question! )*Well Im a Caterer at a Small business Near Downtown dallas. Im working on becoming a Photographer in the Near Future, I have a Canon 7d Camera with a 50mm 1.8 Lens, and recently accepted a job to take Picture at a wedding. Im a Christian- Reformed Baptist, Im not those crazy TBN people you see on Tv don't get me confused, Im not a charismatic person, But I do love Joking around here and there. -Character Physical/Mental Features:6.1ft Dark brown Hair/Eyes, No facial Hair. Malcom Also happens to have a Photographic memory. -Character Biography:Malcom Phoss is a 31 year old Human Male. He has no family and only One friend...His Blaster. When things get tough he always has a way of getting out of the situation, Without to many dead bodies left Behind. The only Hope he's ever received was when a fellow smuggler told him of a community of People helping Defend The Republic, Known As "The Army Of Light". Looking good! Btw I like the red. If you have any questions dont hesitate to ask! Looks good, Good luck. And yes red makes it easier to read. Your Application is now Under Review by the Recruitment Council. You will hear back in the next 48-72 hours. It would improve your chance of successful approval if you were to expand upon your answers just a little in the meantime. It looks good except for question 15. You could probably put a little more into it. Don't feel bad, half the applicants don't answer 15 to the fullest and revise then get accepted. Just add a bit more to it then I think your a shoe in. Good luck. See above for my feelings on this app. With that successfully completed, you will report to the acting Smuggler branch leader (Smgugler General John Shepard) for general class branch training and to General Bren Durron for Squadron/Platoon assignment. Squadrons will act as your home within your home and help acclimate you to guild life and try to answer any questions you may have. Welcome to the AL Malcom.